Slip and fall accidents are among the most common personal injury cases in the U.S. They can occur when fluids or ice cover the ground where people walk on. Slip and fall accidents can cause injuries to the back of the head, neck, and back. These injuries can be severe and can affect the overall quality of life. 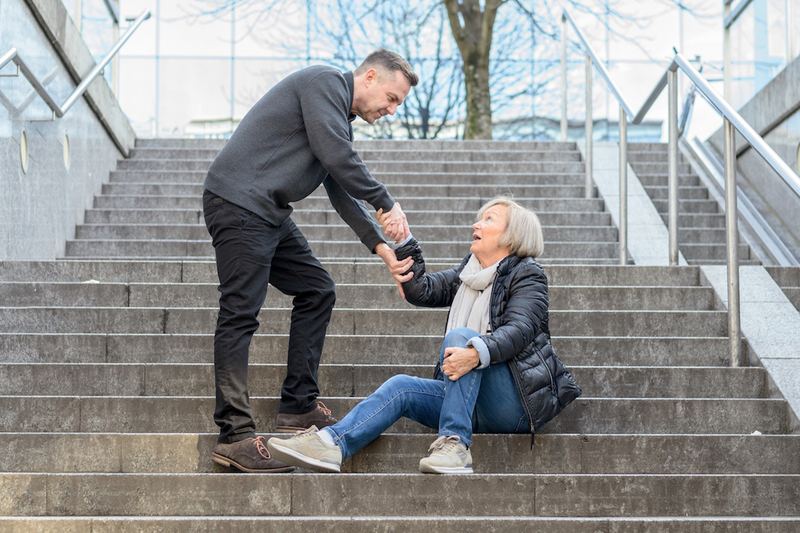 If you or a loved one has experienced a slip and fall due to someone else’s negligence, you will need an experienced Staten Island attorney to fight on your behalf. You or a loved one may be entitled to collecting damages from a slip and fall injury. Let Sgarlato & Sgarlato fight for you and make sure that your voice is heard in your slip and fall case. “Professional, diligent, efficient, reasonable as well as personable and compassionate. Absolutely would utilize their services for any of my legal issues again. 100% Satisfied and I would recommend them to anyone. I’ve NEVER had a better experience with any other attorneys and I’ve dealt with quite a few.” – Kara G.
Why Trust Sgarlato & Sgarlato With Your Slip & Fall Lawsuit? In a city of eight million people, there are tens of thousands of lawyers. Every day of the week, individuals and businesses need legal help. When that someone is you, rest assured that the lawyers at Sgarlato & Sgarlato have the legal expertise to obtain the best possible results for our clients. At Sgarlato & Sgarlato, we are Staten Island slip and fall lawyers dedicated to our clients and will fight to ensure a fair and equitable outcome. Our attorneys have more than 75 years of combined experience. Sgarlato & Sgarlato’s exceptional results for our clients lie in the expertise, professionalism and ingenuity of each of our exceptionally qualified attorneys.